On Friday, I did something I nearly never do. I took the day off, and spent the day outside in a Kayak. The simple act of being outside, alone on the water, was not only fun, but it was refreshing and energising. I relaxed. 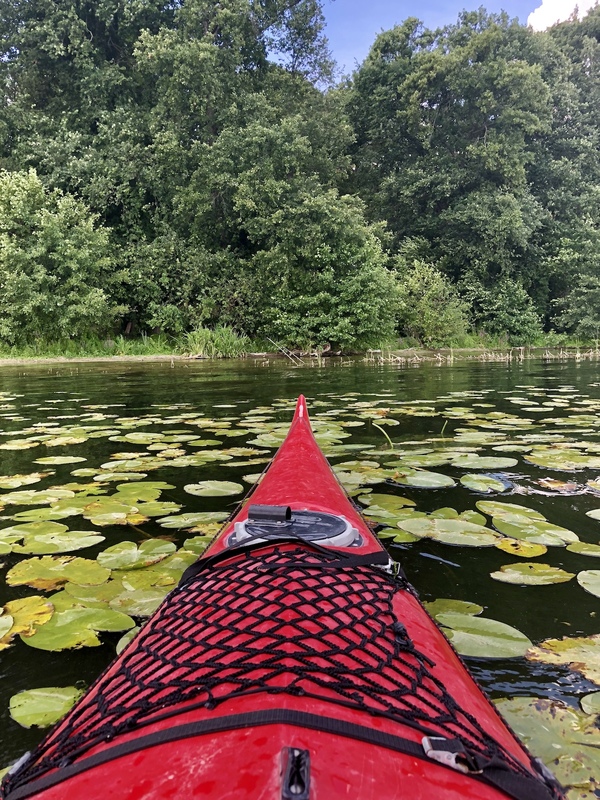 I had nothing to do, nowhere to be, no emails or slack messages to read: just me, my kayak and the water in front of me. It was nearly meditative. It took me an hour or so to relax. I couldn’t paddle fast enough. The kayak kept going in circles. The rudder was tangled. I was stressed. I pulled up at a small jetty to try to fix the tangled rudder cables, and as I was getting out I did the classic kayaking newbie trick and rolled the kayak over and fell right into the water. I suppose in hindsight that could have made me even more annoyed, but the unexpected dunk into refreshing cool water actually calmed me down. I laughed out loud at myself, and at the silliness of it. Then I untangled my rudder cables, got back into the boat and set out for a totally relaxing few more hours on the water. Just from taking one day off, and spending it in solitude, has worked wonders. I woke up this morning feeling energised and happy. Solitude can be a rare thing to find for someone with a young family. Between the office and home, it’s rare that I spend more than my 35 minute bicycle commute on my own. But the value of solitude to your stress level and focus can be profound. Many of the greatest thinkers rely on long bouts of solitude to get any thinking done, from Carl Jung to Bill Gates. Cal Newport talks about many of them in his book “Deep Work”. The act of stepping outside of the daily routine is refreshing and energising. Our weekdays are full of meetings and work, and the weekends are often full with friends, family and other plans. So take a day off. Just one day. And spend it doing something by yourself. Go to a museum, go for a hike, hang out in a park. It doesn’t matter; just take yourself, maybe a book, and step outside of your daily routine. There’s something nice about doing it on a weekday. Sure, you could do it on the weekend too, but something about knowing that the rest of the world is carrying on, and you’re stepping away from it, just for one day, makes it special. For extra impact, make it a Friday: then you get the bonus of waking up Saturday, refreshed and energised, with your whole weekend still ahead of you. I’m planning to do one of these “think days” once per quarter. For my mental health and overall productivity, I see only upside. This entry was posted in Life at work and tagged meditation, relaxation, solitude. Bookmark the permalink.